Your Samsung Galaxy S4 Active  (AT&T), the dust and water-resistant version of the Galaxy S4, which can capture photos and videos even under water is now just a few steps away from getting rooted. This guide will help you to root your Samsung Galaxy S4 Active. Please note that this guide is applicable only for the model SGH-i537 on AT&T. Proceed at your own risk. Enable Unknown Sources in your device (by going to Settings -> More, and checking ‘Unknown Sources’). Go to the page http://geohot.com/activeroot on your Samsung Galaxy S4 Active. Click on the lambda symbol on the page to download the rooting app’s apk file (Or, alternatively you might be able to download the apk file from your computer and later transfer it to your device). Now, install and run the apk file you just downloaded. It will bring up a message saying that you now have root access. Download and install SuperSU  from the Google Play store. Open the SuperSU app and update the binaries. Congrats! 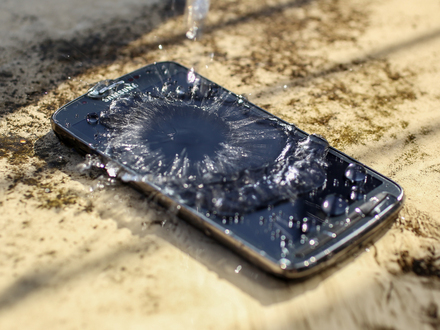 Your Galaxy S4 Active has been successfully rooted (now you may throw your phone into the water)! Enjoy your rooted Samsung Galaxy S4 Active! Now you can go underwater with the power of root!